holders offer a range of flexible mounting options to suit all samples. Special holder designs are also available, and Laurin Technic can make custom holders to suit your exact needs. All sample holders offer both spring mounting and grub screws, combining ease of use with high strength of fixing. The precision machining of the holder lip ensures that all samples are held flat and uniform at the appropriate height. While LA-ICP-MS can be undertaken on rough, or unpolished specimens, the best results are always achieved when samples are well mounted. 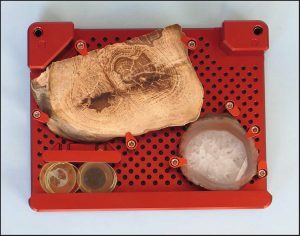 The universal holder provides the ultimate flexibility for mounting irregular samples. This holder can handle arbitrary-sized objects, while ensuring they present a flat surface to the incident laser beam. The combination of fittings (included as standard) allows especially fiddly and difficult-to-mount samples to be presented flat and perpendicular to the laser. 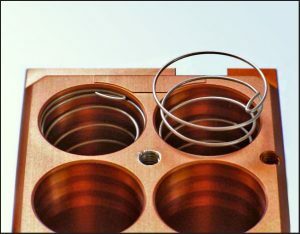 The cell is provided with three (3) sample holders as standard, which can be chosen as any three from the below designs. 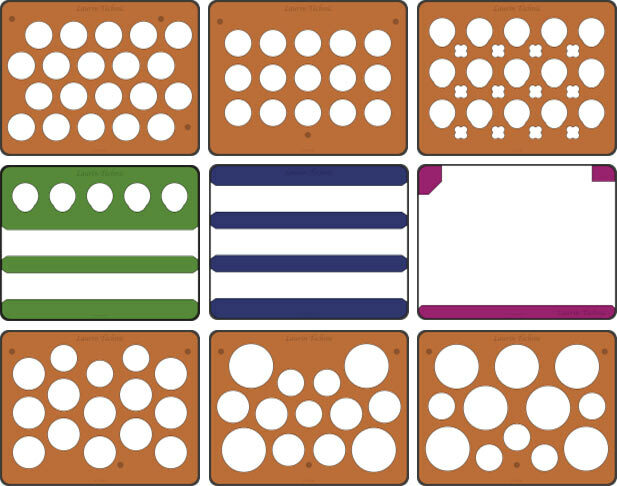 These sample holders are designed to accommodate 1″ round mounts and square format mounts (3cm x 3cm). the thin-section mounts shown below come in two sizes; one which can hold the European standard 30mm wide thin sections and 25mm thin sections.